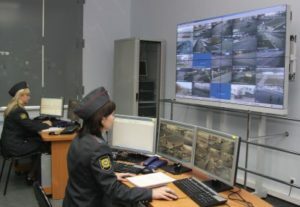 “System Service” started close cooperation with the company “New Systems Telecom”, which is actively involved in the implementation of the modern traffic control technologies in the Republic of Mari El. At this point in the capital – the city of Yoshkar-Ola, a pilot project “Pioneer” is being implemented. Several city intersections were equipped with video cameras to enforce traffic violations. Camera connected to a central control point through a single fiber-optic network . As traffic controllers KOMKON KDK are applied, which can also be connected to a single fiber-optic network. 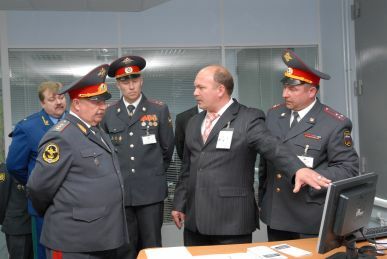 Violations detection is performed by the system “Avtouragan” from Moscow company “Recognition technologies”. For the fixing of the Red light passage in “Avtouragan” implemented data exchange with the traffic controllers KOMKON KDK. Traffic controllers are controlled by the automated traffic control system- KOMKON ASUDD. In general, the installation not only solves the problem of general updating of traffic control equipment, but also brings a new level of service organizations performance. They get a full diagnostic information about the operation of traffic lights and road conditions. This significantly increase responsiveness to any incident and, importantly, allows dispatchers to react to the appearing of congestion. The complex also features a powerful tool for the traffic police – it automatically detects traffic offenders . Protocol violations issued by the system , not only contains a group of photographs of the vehicle from different angles and at different times , but the car registration number , information about the vehicle from a database of traffic police , traffic lights signals – they are visible on the photographs and are duplicated with work mode information of traffic controller at the time of the violation.